To help us from becoming a group of people who are led around by our grumbling and supposed lack, a good exercise is to give thanks to God for what He has done for us in our lives. But too often we take on one of the characteristics of a goldfish. Research scientist in the School of Psychology at the University of Plymouth in southwest England has found that goldfish have a memory span of three months. A goldfish, swimming in its habitat, is a fairly smart fish (yes, I know, it is because they swim in schools). They can distinguish between different shapes, colors and sounds. Fish were trained to push a lever to earn a food reward; when the lever was fixed to work only for an hour a day, the fish soon learned to activate it at the correct time. They were even taught to go through mazes or to certain locations in order to receive food. But the goldfish has a short memory. 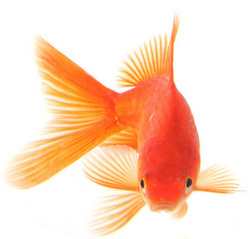 A goldfish can only remember for three months. Sometimes I know that we as Christians have short memories. We forget all the ways God has touched us and provided us with all that we need for life and godliness. In order to keep from having goldfish memory syndrome, we need to take time to rehearse in our minds and with others what the Lord has done. When upon life's billows you are tempest tossed, when you are discouraged thinking all is lost, Count your many blessings name them one by one, and it will surprise you what the Lord has done. Count your blessings. Name them one by one. Count your blessings, see what God has done. Count your blessings. Name them one by one. Count your many blessings see what God has done.